BTB -Villa and appartment rental. Since 1980 BTB has been offering its clients the fullest range of services: tourist rental, long term rental, maintenance and real estate management. Our unique business development has established BTB at the forefront of the Costa Blanca housing industry. The Costa Blanca with its ideal temperature all-year-round, crystalline beaches, culture, gastronomy and life-style is an idyllic place to enjoy an unforgettable holiday with the best family or friends company. This is an area where visitors can enjoy the sandy beaches, water sports, walk along the most fascinating historic centers full of legend and tradition, taste the best Mediterranean cuisine and delight with an endless number of activities. BTB offers a wide range of tourist accommodations. 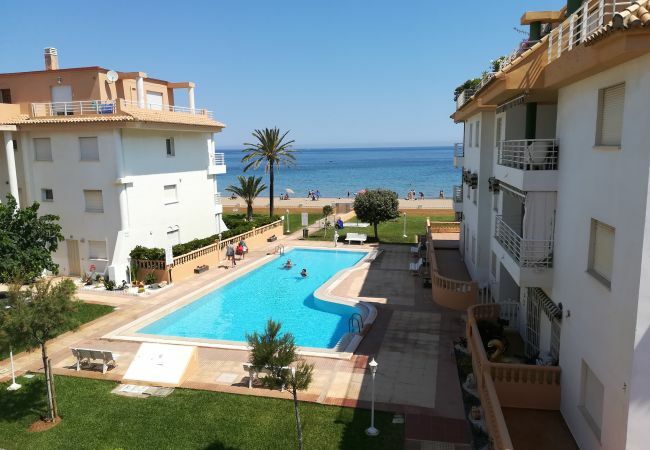 Villas, apartments and hotels in the best locations: Dénia, Jávea, Moraira, Jalón, Ondara, Benissa or Beniarbeig. We take special care to make sure that each and every one of our housing options matches the likes of our guests, in order to ensure that all of our customers feel comfortable. We have apartments with communal pools and also lovely villas with private swimming pools. We have villas with different capacities for families, couples, friends and big groups.